Dojo Rat's recent musings over Western boxing's influence on Asian martial arts got me thinking about some of history's greatest pugilists. DR claims that boxing doesn't really qualify as an art form, due to its lacking of a philosophical base. I tend to agree. You won't find a dojo kun hanging on the wall in a boxing gym, nobody bows before stepping into the ring, and respect is earned or imparted simply through fighting. Indeed, fighter is a common expression used to describe a practitioner of the "Sweet Science." I have to be honest, if I had to pick a winner in a street match between a run-of-the-mill martial arts exponent and an equivalent boxer, I'd go with the latter. Boxing though has had its share of "bums". Equally, as historian Patrick McCarthy recently pointed out, there are karateka that come from "genuine" backgrounds and who can't punch their way out of a paper bag. 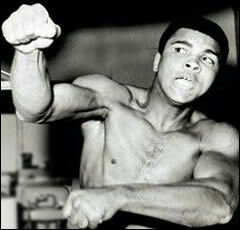 Great boxers are defined by great opponents, but also by their temperament, in and out of the ring. A few of boxing's former world champions come to mind that had characteristics congruous to the model of a traditional martial artist. Featherweights as a rule of thumb don't have the mass appeal of the big bread winners - the heavyweights. 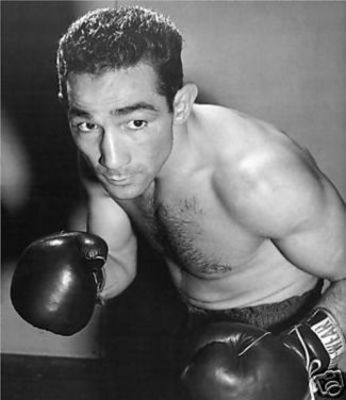 Pep - a World War II era boxer - is regarded as the greatest 126-pounder of all time for his elusiveness. Really, if you think about it, the whole idea in the martial arts isn't hitting, it's about not getting hit, which was Pep's ace in the hole. Pep actually won a round on points once without throwing a single punch ! Head feints, foot work and lateral movement (can you say tai sabaki?) kept most of Pep's 241(!) opponents at bay. If anyone mastered the art of defense, it was Pep. Earlier I mentioned respect, and none earned it more than Arguello, in part, because he knew how to give respect. Always a consummate gentleman, Arguello would actually wish his opponent luck before a bout and never partook in the usual alpha-male hype and posturing found in sports figures today. Although intellectual, well-mannered and sincere, Arguello was truly a warrior who possessed devastating knockout power. 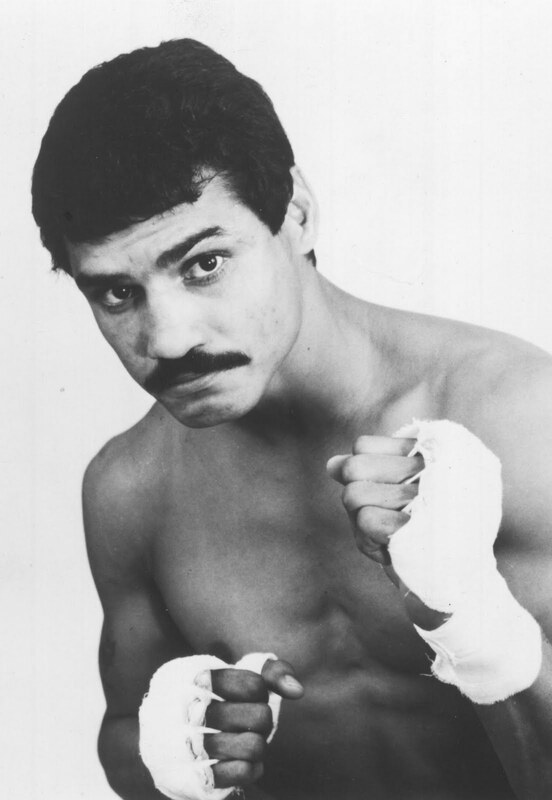 After he retired from boxing in the 80s he became a soldier fighting government oppression in his native Nicaragua. Now that's a warrior. Ali (b. Cassius Clay) was generally seen as a buffoon when he first hit the boxing scene in the early 60s. Part bullying loudmouth, part lunatic, Ali for sure would've failed an interview with a master had he been vying for discipleship in a traditional dojo. But his brand of strategic pre-fight verbal jabbing and psychological warfare would've made Musashi proud. In spite of his rantings out of the ring, Ali could walk his talk. He had remarkable speed for a heavyweight ("I'm so fast, when I turn out the lights to go to sleep, I'm in bed before the room gets dark") and had enormous reserves of toughness (he once fought most of a bout with a broken jaw). He was a master strategist in the ring, at times allowing a bigger and more formidable opponent to "punch themselves out." His "dancing" foot movement is reputed to have been copied by Bruce Lee. In 1976, Ali fought Japanese grappler Antonio Inoki to a 15-round draw in a prototype match to what we now call Mixed Martial Arts. The real difference between boxing and martial arts is longevity. Professional fighters must retire, and they usually don't retire well. Martial artists don't get older, they just get better. great post. I usually lump boxing into martial arts as the fighting is an artform of itself. I consider Archery and shooting martial arts as well. Just as a snippet of technicality but karate is NOT a martial art. Isshinryu is NOT a martial art. 1. It was NOT created or practiced by professional warriors. 2. It was NOT a creation of a martial group. 3. It is not meant for direct application on a battlefield. It can be thought of as either a "civil art" or "combative art." It can be for self defense, etc. BUT, it ain't a "Martial Art!" There's a lot of the "martial" missing in the martial arts today. Teaching young children, sport, and some of the quasi-performance theatrics are not the stuff of authentic martial arts. Regarding this list of "What makes a Martial Art" -- where did you get this from? I think you included "NOT" when you shouldn't have. Take a look at it again, please. I recently wrote about the not-so-subtle differences between budo and bujutsu, but both terms roughly translate as "martial arts." Karate is considered a budo form, so karate is a martial art. The progenitors of modern martial arts had no problem with this term and it has earned such a spot in our culture that defining them as something else at this point would be an exercise in semantics. For example, I could say boxing isn't really a sport because both players are trying to knock each other out - this is not "sportive" by any definition. So then I could re-classify boxing as something less euphemistic like "contested mayhem." Would anybody really care or pay any attention to this? Probably not, but it might get some laughs. Martial artists are not paid as much either! Nor are the MMA competitors. You'd think for all the pounding and blood loss those guys incur they would be better compensated. Now if they made some movies maybe that would change. Karate_Fighter ("KF") on "Boxer as Martial Artist." KF sides with DR on boxing, per se, is not a martial art. The flip-side, boxing can certainly be used like a martial art. Boxing is a 'sport;' karate is a 'martial art.' The reason for the dichotomy between the two is that a sport is a physical activity; a martial art (here karate) is a discipline. Begs the question, KF admits. Still, there are massive difference between the two approaches to fighting. ...there are massive differences between the two approaches [boxing and karate] to fighting. That's an understatement. First, let's examine this concept of "fight." It shouldn't be trivialized or taken for granted. Fighters engage in a contest (not necessarily sport, e.g., a streetfight). It's more or less mutually agreed there will be an exchange of blows. The premise behind almost all traditional martial arts is to utilize self defense against an assailant who (very likely) hasn't a real clue how to attack, defend, etc.. Two very different scenarios. Now here's how I see it: Most traditional martial artists can't really fight. It's not because the techniques or the curriculum being taught are necessarily ineffective, but rather in the training methods. Traditional martial artists simply aren't conditioned or trained to cope with the psychological shock and trauma of a real fight. Certainly not the way boxers are. As in everything though, there are exceptions. John, interesting post, sorry to be weighing in so late. To provide one more perspective re "fighting:"
there's a female boxing coach, Christy Halbert, who argues that boxing isn't fighting; in a fight, you're generally angry with the other person. Speaking from her perspective as an amateur boxing coach, she argues that boxers aren't angry at each other in the ring, and in fact have great respect for each other, which to her mind differentiates it from "fighting." Heavyweight champ Joe Frazier used to say, "It's just a job." Marvelous Marvin Hagler (yes, he actually had his name legally changed to that) would describe himself as a "monster" going into a bout. But it was legendary boxing coach Ray Arcel who summed it up by saying that no matter how confident a fighter looks before a match there is still a remnant of fear. So a little fear, a healthy dose of respect and lots of innate ability go a long way for boxers.